The View From Here is about a middle-aged woman trying to find herself and coming to the realization that the only place she can do it happens to be thirty-five feet up a pine tree. This is a story about love and forgiveness, about loss and what it means to be family. It’s a story about finding peace in whatever place you call home. It’s also quietly, unpretentiously about environmentalism and preservation of place. Katie Sinclair climbed up a loblolly pine just to see if she could. And then she stayed, creating a media sensation and more than a little trouble for the folks in Jones County, North Carolina. There is a lot of speculation about why the state employee took to the tree. Some think she is making a political statement about the destruction of forests for urban development. Others believe her recent divorce has driven her to a nervous breakdown. But the truth is she’s living in a tree because she needs a new perspective. She needs a wider view of a life that had somehow become tedious and small. 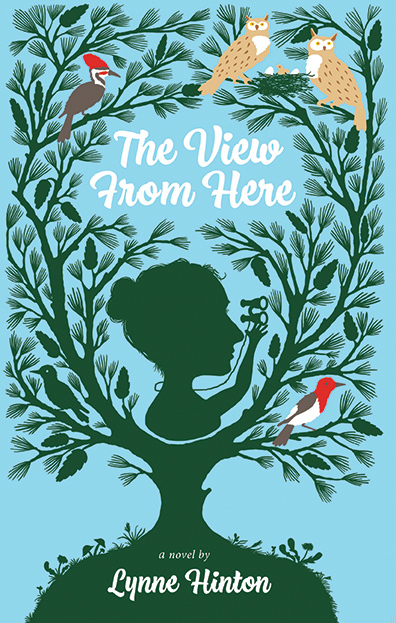 From her perch high above everyone, Katie deals with the deputy who keeps being sent to try and talk her down, a brutal spring storm, well-meaning environmentalists, odd and interesting townspeople, a pair of protective horned owls, a mysterious reporter, and even some dangerous boys sent by the developer whose plans demand taking down her tree. There is plenty for Katie to take in while living in a tree. Author Lynne Hinton’s elegant, effortless prose shows us as if we were there what Katie is seeing and learning about birds, sky, wind, and people. But she -- and us with her -- is changed primarily by what she discovers about herself, about grief and forgiveness, and about the true love that has been in front of her for most of her life. No reader will be unmoved by this lyrical, empathetic novel crafted by a master storyteller.